The shape of the band can vary considerably! The main outsides are usually half-round, flat, beveled or have a knife-edge, however you can have combinations of all of these. For the inside of the band I always recommend the comfort curve. A comfort curve is a domed interior. Because it has less contact with the skin than a flat band it traps fewer irritants and can prevent the band from cutting into your finger. It is often easier to slide over a big knuckle, and it tends to get less wear and tear. A band can be tapered either near the stone or at the base of the band. The ring can have shoulders - these can be low or high. The thickness of the ring will vary depending on a number of factors. A petite woman with fine fingers will need a thinner ring. Men usually go for thicker rings. If you have thick knuckles or fingers that fluctuate in size thinner rings will be more comfortable and easier to get on and off. Hand-engraving is an art form that has been done for centuries. 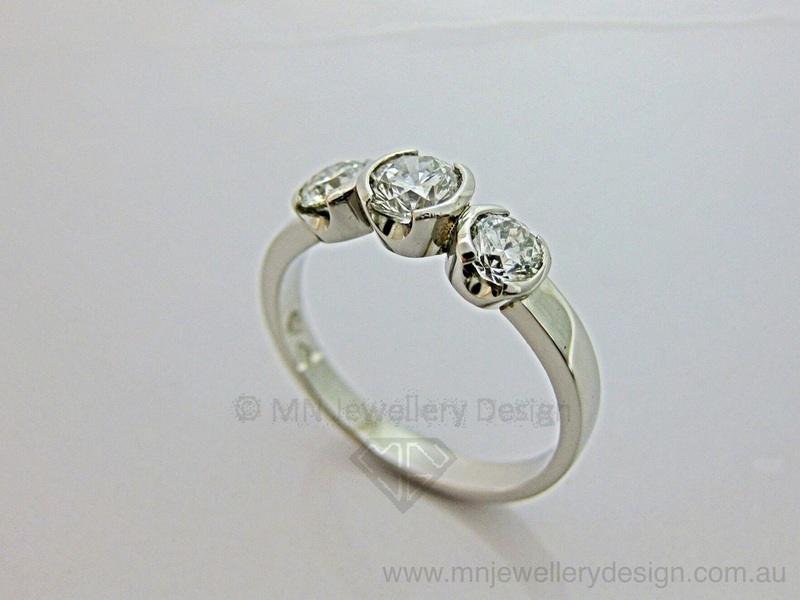 It can add a "wow" factor to your rings, with or without extra stones. Hand engraving is not done by machine or hand-held burr, but rather chisels and engravers and is a time consuming process. There are many different types of settings. 1. Claw Settings - often very popular for a solitaire stone. It lifts the stone up and lets in light. However, it can easily catch on things and the claws can get damaged easily. If worn often - the tips or claws will need to be replaced/repaired usually every ten years, however on a hand-made piece they can last up to 40-50 years if great care is taken with them! Round stones usually have a 4, 6 or 8 claw setting. Square or rectangular stones can have single or double corner claws. 2. Bezel / Rub Over Settings - These settings completely surround the stone and hold it in place. 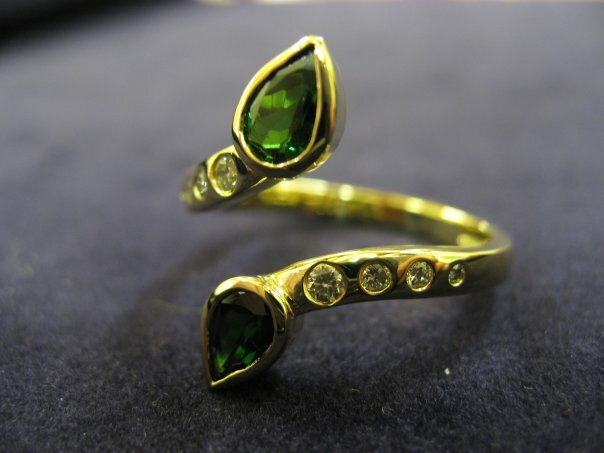 The stone often sits just above the rim of the setting and offers the stone some protection. Hammer and channel set - the stones are flush with the metal. There is less chance of them being scratched. However, channel settings are not the most secure settings and there is more chance of stone loss. Pave and Bead set stones are held in place by little "bead claws". These claws maybe damaged overtime leading to loss of a stone, however they are very secure settings if maintained and looked after. 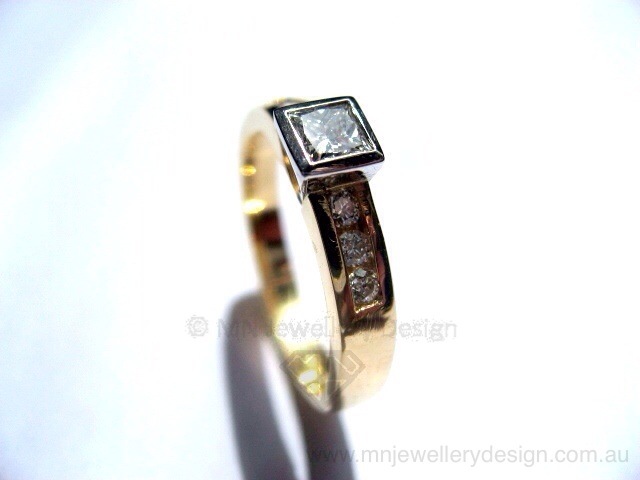 A white gold setting around a diamond will make it appear bigger and whiter. Diamond prices jump significantly once you go above to 1 carat or above. So if you want the "big" diamond look but don't have the budget consider a medium sized diamond (ie 0.75cts) surrounded by a halo of smaller diamonds. 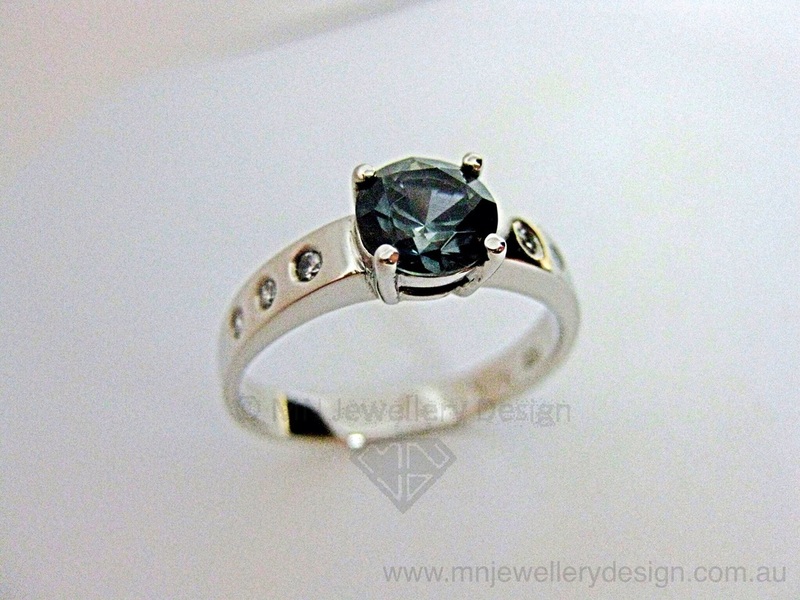 Consider a coloured gemstone instead of a diamond.